It's finally time to implement the Gameaholic.se Summer LAN 2014. This is the first official Gameaholic.se LAN-meeting since we merge from old Hjerpeskans. We've been contacted by alot of both old and new members asking us about when we will arrange the next one. 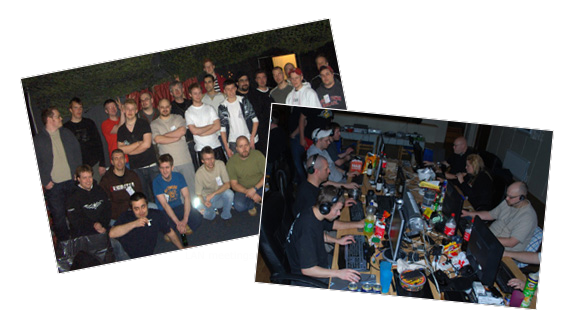 We drew a line back then and said - When we reached 250 members we will have a great LAN! Well guess what, we pased that line this weekend. The date is Wendsday 23rd to Sunday 27th, July. The time is Wendsday 19:00 to Sunday 12:00. It is a large house in the middle of nowhere named "Österundagården", the same place we've been the last 3-4 Hjerpeskans LAN-meetings. The house is divided into several large halls with kitchen and bathrooms etc. The kitchen includes a refrigerator, freezer, stove, microwave, dishes and dishwasher. We will use the small hall as the barracks and the large hall for gaming and eating etc. ◾ Small Hall with seating for 45 people. ◾ Large hall with seating for 100 people. From Uppsala, drive route 72 towards Sala. 6 km after Järlåsa turn left towards Österunda. Continue 10 km until you come to Österunda. As it looks right now, all payments shall be made ​​through this link and the total amount must be paid no later than June 27th. 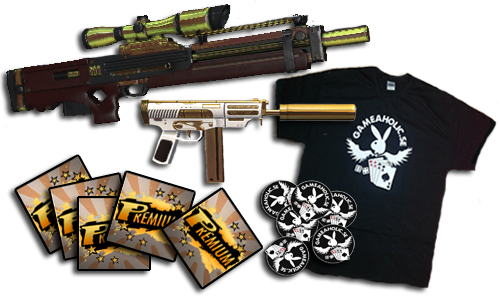 If you planing to buy any Gameaholic stickers or t-shirts for the LAN, those must first be orderd and payed in our webshop. Just reply a message to this topic with your nickname you have on the forum and your full name in real life. 3:2 - Subscribe to our LAN is binding and payments in advance. 3:3 - Everyone help out to clean the building on the last day or pay 100SEK. 3:4 - Vandalism will result in fines and immediate exclusion from the association. Yea Lt, better to wait with signup until you know if you're coming or not. I think that's what the majority is doing right now, checking before signup. Is anyone going from Norrköping or driving through Norrköping on the way? Me and a friend would like to go but have some problems to get there. This was just pathetic guys! So mutch whine about no arrangements and when we finally put it up 4 of 300 sign up. Nah-nah, this is just to mutch talk for my style. You guys take a long thought on this one... .
Until then.. .. I'll spend time on stuff I can count on.